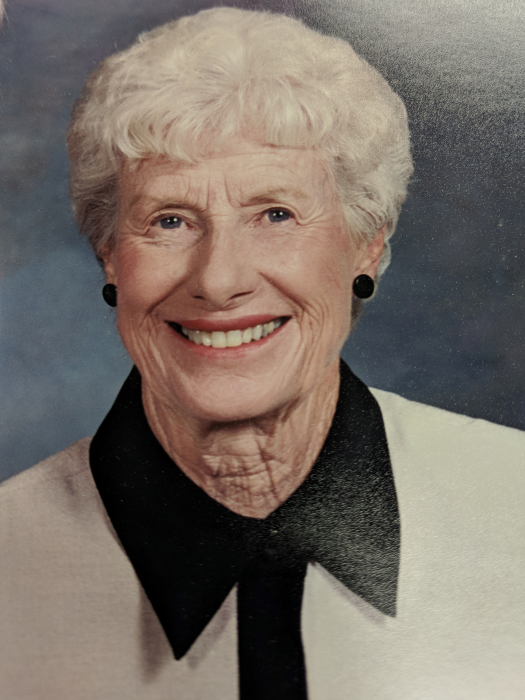 Aline Vivian (Waite) Bantly, 92, Davidsville, passed away August 11, 2018 at Laurelview Village. Born September 26, 1925 in Johnstown, she was the daughter of the late John Arthur and Marie (Nagel) Waite. Also preceded in death by husband, Victor Samuel, whom she married on September 6, 1947; son, Scott E. Bantly; great granddaughter, Alexa Weller. Survived by children; Patricia (Neil McKloskey), Dr. Thomas (Cherie Peters), Vicki (William Price Jr.); grandchildren, Erik McKloskey (Emily), Michael McKloskey (Francesca), Elizabeth Bantly, Chris Bantly (Aurora), Daniel Bantly, Susie Weller (Jeff), and Bill Price III (Brittany); great grandchildren, Tyler Wadley, Ethan and Camden McKloskey, Jonathan and Joshua and Jackson Bantly, and Audrey and Charlotte Weller. She was a member of Trinity Lutheran Church where she taught Sunday School from kindergarten to adults for 30 years. She was the first woman on church council at Trinity. Graduated in 1942 from Johnstown High School and in 1945 from University of Pittsburgh. She was a retired Math teacher at UPJ. Past president Auxiliary to Cambria County Medical Society, Past president of UPJ alumni Association from 1975-1976, Honorary member of the auxiliary of Conemaugh Memorial Medical Center where she volunteered at The Little Shop, and helped give parties for the Children's ward. Avid golfer with 4 holes in one. Past member of Sunnehanna Ladies Golf association, the Women's Golf Association of Western PA, Women's Golf Association of the Forest Country Club, Golf champion (ladies) of Sunnehanna country club for 6 years. The family suggests donations be made to Trinity Lutheran Church or UPJ in Aline's name. Friends will be received Friday from 3-6 pm at John Henderson Company Funeral Home, 215 Central Ave. A funeral service will be held Saturday at 10:00 am at Trinity Lutheran Church, Rev. Nelson Ilgenfritz. Interment Grandview Cemetery.